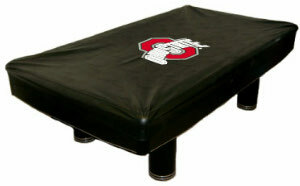 Protect Your Pool Table With a Licensed Collegiate Pool Table Cover. Made from heavy-grade vinyl, these high quality covers show off your team spirit while they help repel harmful dust, spills, and leaks. Available in 3 sizes. 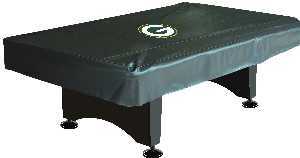 Protect your pool table from dust and spills and showcase your favorite team with an officially licensed NFL team logo Naugahyde pool table cover from Imperial. Add an exciting look to your game room! 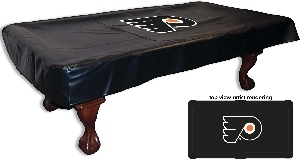 Protect your billiard table from the elements and show your loyalty with an officially licensed NHL® Team Logo Pool Table Cover! Comes in 3 Sizes.